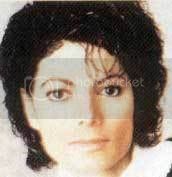 Let's analyse a visual physical change in Michael Jackson's appearance which is very shocking. An adorable 13 year old cherub-faced Michael gazes at the camera. He is about to embark on an incredible career and an incredible life. 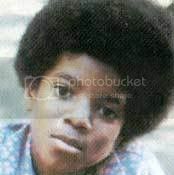 Now 17, Michael is in the grip of adolescence. 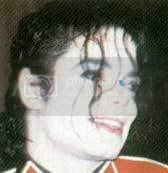 He told Martin Bashir he suffered terribly with pimples and that his father bullied him about his nose. On the set of his video for Billie Jean, Michael's nose begins to look thinner than in previous photographs. 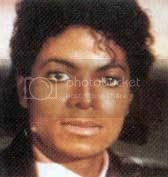 His skin also starts to lighten. 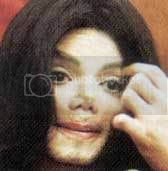 The first rumours begin to surface that Michael has had surgery; on his face. The skin is paler, his nose thinner and the lips are more pink in colour. 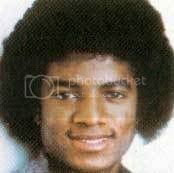 Now aged 35, Michael's nose looks more pinched and upturned than ever before. The skin now looks almost completely caucasian. Now 44, every aspect of Michael's face is remarkably different in shape and colour from the cute youngster with whom the world fell in love.